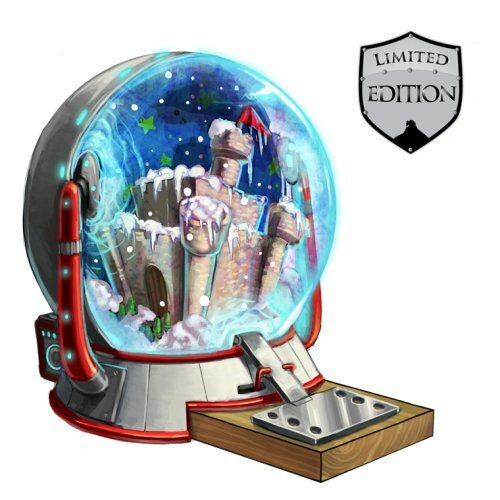 The Snowglobe Trap is a Limited Edition Physical type weapon. Attraction Bonus: 10% Limited Edition: ?? Cheese Effect: No Effect Smashable: ?? It is a little-known fact that mice share humanity's obsession with the weather patterns of vinegar-filled miniature aquariums, which is, in part, why the Snowglobe trap is so successful. When a mouse comes near the snow globe to get a better look at the winter wonderland inside, the moving platform catapults it through the force field at the front of the globe, where it bonks its head on the the back wall. Once in the globe, it will freeze, becoming a natural part of the interior scenery. The Snowglobe Trap is a Limited Edition weapon and can no longer be acquired by Hunters. It could be purchased for 341,000 gold from Ronza's Traveling Shoppe during The Great Winter Hunt '09 event. It could be refunded for 61,380 gold at the same location. The Snowglobe Trap acquires a 20% Power Bonus when armed with Snowball Charms. 23 December 2009: The Snowglobe Trap was introduced. 13 December 2016: The Snowglobe Trap gained a 20% power bonus when armed with Snowball Charms.